If you are a windows user then it is possible that you have Face Error 651 Anytime. There are many windows user who get affected by this error code 651 while working online. If you are one of those windows user, then keep reading this article and carefully read out the following Detailed solutions which I have gathered after researching various websites, articles, forums etc. So, without consuming more time I’ll directly come over the main point of this article. Error code 651 usually occurs when user tries to connect it’s broadband in windows 7/8 or Windows 10 operating system. It shows a message that Your modem (or other connecting devices) has reported an error and Usually the message will be “Connection failed with error 651” . In such cases user tries to restart the whole computer, router or modem, But You can easily make out when you are facing this problem in your windows 7/8/8.1 or 10 as this error code 651 shows an error message when user is working. There are ofcourse lots of suggestions and solution available online to solve this Error but let me tell you that there is no official solution available online or guarantee for fixing this problem in windows 7. So, for helping out those users I have tried to gathered all types of solution which can help you out in solving this problem on your windows 7 or 8 operating system. 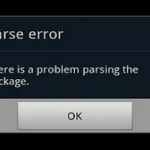 You can relax and follow below fixes to this particular error you are facing. By uninstalling the modem, users can solve this problem. 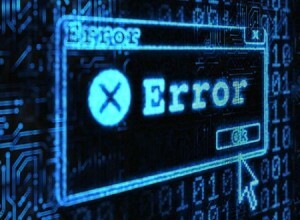 This solution is Most Common to get rid of this particular error code. Its applicable for all type of dial up modems. There are many people who had solved out this problem by this method. Drivers are Important for your Hardware. Having Updated Drivers is even more important. You may face Connection error 651 if you have out date drivers. SO, go to the official website of your hardware and download the latest ones. If you don’t want to do the hard work then, Easiest way is to Use Programs like Driver Agent. Driver Agent will Scan your Pc for outdated Drivers. It will then show you the list of Drivers updates available. You can Update all of the drivers or choose from the list. The Program is useful and you can have a System that has Up-to-Date Drivers always. Download Driver Agent Now !!! I have seen that many users has successfully solved this problem by replacing the raspppse.sys file from the windows 7 directory. This method will only work for those users who are currently using windows 7 operating system and are facing this problem. User can also solve this problem by turning off the IPv6 for their dialer modem. This is one of the most easiest way for solving out this problem successfully. Right click on the Connections, Select Properties, Then Uncheck the box which says Internet Protocol Version 6 (TCP/IPv6). There are many people who suggested that by turning off the auto tuning feature we can solve out this problem. This method is useful for only those users who are using router. To Disable Auto tuning follow the below steps. We have seen that by reinstalling the LAN card drivers, Connection Error 651 problem can be solved. 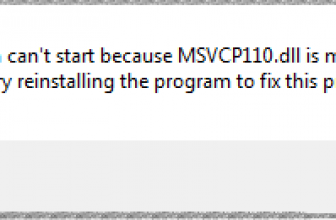 Sometimes it is possible that drivers may get corrupted and this is the reason why I will suggest you to install your drivers again. Performing clean boot can help the user in finding the root cause of this problem. If there is no problem in your windows services then this method will not be working for you. It is possible that your internet modem could get hanged during the connection. By removing the dialer and then creating the new dialer can help the user a lot. Restarting ADSL modem/router can also work during such type of cases. Once you have fixed this error, all you want is to avoid this error as well as other Errors that Pops up in Windows. So we recommend you to Use Pc Optimizer tools like Total System Care and make use of it on regularly basis. It will Keep your PC organized. 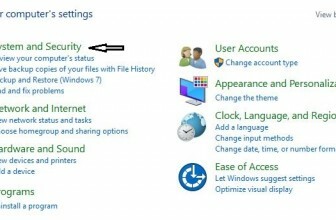 The Registry entries Errors will be fixed which are the main Culprit for most of the errors in windows. So, these are the solutions which I have found while researching to Solve the Error code 651 in windows . If you are facing this problem in your windows 7/8 or windows 10Pc then I will strongly recommend you to try these methods once. Thank you for your input Kamlesh, this migh just help the visitors if above mentioned fails. windows 7 my internet is fine, windows 8.1 my windows is fine as soon as i upgrade to windows 10 i get this error then i have to roll back to windows 8.1 to get it working again without changing anything. my isp login details is all setup on my modem so i haven’t created a dialup connection within windows as it keeps requiring me to type in my password when the pc starts up. But driver are not available on HP official site.. I dont understand why, the lan drivers can not be found. I’m not sure how to get to the connections tab to disable the IPv6. Here i will just rehash just in case you missed it. Right click on the Connections, Select Properties, Then Uncheck the box which says Internet Protocol Version 6 (TCP/IPv6). great input and a great topic as well !!! I will try some of these tomorrow. Lets see if it will work..
To add on to the above article. Most of the times when you connect to the Internet for the first time, your system’s Mac address gets binded against your IP or username. 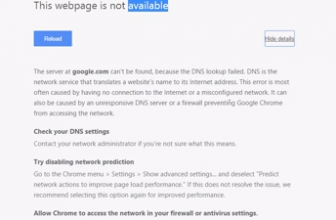 Error 651 occurs when you change the system and tries to connect to the internet using same IP or username which you were using to connect to Internet in other system. To resolve the issue just call your internet service provider and request them to reset the MAC address for you. Many ISP provide this feature in there user management login page. Thanks for your Input RS.